Home/Altcoin Guides/What is Enjin Coin (ENJ)? Enjin Coin is an ERC20 based token that allows for virtual exchanges of goods on the blockchain. Similarly in gaming where goods are exchanged for game-based currencies, Enjin Coin gives developers an entirely new form of virtually owned goods. It claims it will assist with the gaming marketplace in newfound ways. By enabling a cryptocurrency for the gaming industry, there will be an elimination of fraud, double spending errors, and high fees incurred by other cryptocurrencies. Enjin Coin allows you to ‘create and manage virtual goods’ all while enabling a decentralized payment gateway. Enjin Coin’s SDK has been regarded as one of the most versatile and enabling kits for all gaming-associated software. The goal of of this coin is to establish a network of gamers that can build and share their created virtual goods. Being an altcoin it’s not as widely accessible as Bitcoin. Since Bitcoin is deemed the ‘father’ of all altcoins, Bitcoin is traditionally found in many other places and exchanges. This ranges from fiat conversion possibilities, like on Coinbase. Since it’s lower availability, it has a lower ‘volume’ than bigger cryptos such as Bitcoin or Ethereum. Therefore, it makes it a little more difficult to purchase. Alternative exchanges do support Enjin Coin, however. Traditionally, it is exchangeable for Bitcoin or Ethereum. Enjin Coin is also available on a larger range of exchanges that other cryptos traditionally are not. Please keep in mind, the volume for these exchanges changes at all times; currently Binance possesses the highest volume for ENJ coin. To start, you’ll have to create an account on one of the listed exchanges. This depends on your location, however, Binance at the moment seems to be the most versatile in terms of accepting global residents. 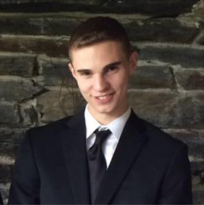 If you are from the United States, Binance is a great, fast option. All that’s needed is a quick sign up. On Binance, you can additionally enable 2FA which increases your security on the platform in case anyone hacks your exchange account. Also, depending on the amount of crypto you’re moving through exchanges, it might be wise to go through the extended verification processes. This ranges from providing a license, passport, SSN, and so on; always make sure the URL you are using is the correct URL as well. Otherwise, you may just be entering sensitive information on a phishing site. Once completed, you should be asked to verify your email. Once completed, the Binance site is all yours to navigate and explore! Once you feel comfortable with the site, your next step will be to deposit some sort of base cryptocurrency into your Binance exchange wallets. Currently the most liquid pairing for Enjin Coin is ENJ/BTC, or Enjin Coin exchanged for Bitcoin. For that instance, you’ll have to acquire Bitcoin and deposit it to your Binance exchange wallet. Binance exchange wallets can be found at the top right of the screen; navigate to ‘Funds’ section of the navigation bar, and find the ‘Bitcoin’ wallet. If you look in the same row in that section, you should find ‘Deposit/Withdrawal’ buttons. Click on the deposit button. This will generate a series of random letters and numbers. Copy and paste this address, and send your Bitcoin to this address. Double check addresses so you don’t accidentally send it to a random address. Once you’ve sent your Bitcoin to your deposit address, you should track the confirmations for your transaction until the funds confirm. This usually takes anywhere from 10-25 minutes, but can vary depending on the congestion of the Bitcoin network. After the confirmations you should see your Binance wallet balance has updated to reflect your Bitcoin balance. Double check this the correct amount. Next, once the funds have been confirmed, navigate over to the exchange portion of the site. This is found at the top left; select the basic exchange, as for now, we only need to focus on the basic portion of the exchange. Find your pairing for Bitcoin; this will be ‘ENJ/BTC’, meaning we want to exchange our Bitcoin for Enjin Coin. Set either a market order or a limit order. Market orders execute as soon as possible at the best market price available, so we’ll do that for now. Press the ‘Max’ option that’s located near the buy button. This will make the order hit the maximum amount. Limit orders are for exact entry points and can be complex for beginners. If the order was completed successfully, it will execute and virtually exchange your Bitcoin for Enjin Coin. To verify the exchange was successful, you can navigate over to your funds section and see that ‘ENJ’ has been updated to match your new transaction. 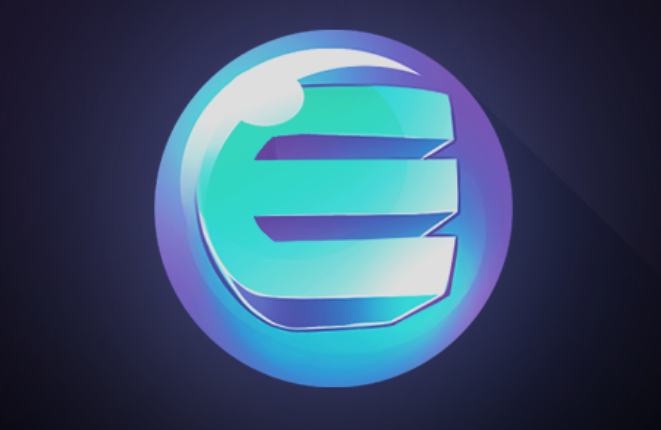 Enjin Coin runs upon the Enjin Network, which aims to be a decentralized gaming platform for eSports. It allows for the exchange of virtual goods within a gaming marketplace. This means that ENJ tokens will increase with value along with the expansion of the network. Keep in mind, if the network fails to expand and be adapted, the demand for ENJ will decrease as well. Enjin Coin has recently announced a partnership with NRG, a California-based eSports organization. They have agreed to utilize Enjin Coin to reward the users of their upcoming platforms. Q: Is Enjin Coin found on Coinbase? A: No, it is currently not available on Coinbase, only on the previously mentioned alternative exchanges. Q: What is the future of Enjin Coin? Will they continue to develop their platform? A: Enjin Coin claims they will continue development. Their roadmap can be found on their official website. A very comprehensive guide indeed. Nice work John.